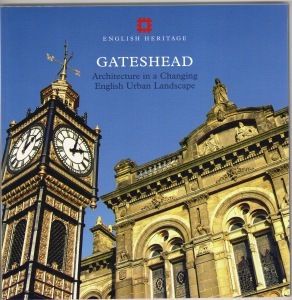 Gateshead has often been overshadowed by Newcastle, its northern neighbour across the River Tyne, yet its history is full of fascinating insights into the way in which a northern industrial town experienced the 19th and 20th centuries. This book explores this period of great change through a study of the town's everyday historic landscape. The story of industry includes the legacy of railway engineering and the construction of the Team Valley Trading Estate, a nationally significant example of a state-sponsored attempt to engineer economic change. Gateshead's growth brought new civic responsibilities and the borough's public buildings - town hall, libraries, schools and hospitals - illustrate how services were provided. Dominating the landscape, however, is the housing built for the town's fast-growing population, and this tells a rich story of changing lifestyles, from the highly distinctive 'Tyneside flats' of the 19th century to post-war high-rise blocks. The book concludes with a discussion of the conservation of the historic environment in a new period of great change.